National Injury Surveillance System for Youth Concussions – When Will it Happen? Introducing Kevin Vitale, MD - What is Physiatry? April is Youth Sports Safety Month - Who is the Athletic Trainer on Your Team? How Does Your School Stack Up on Sports Safety? The dietary supplement topics posted to the A4IA blog in the last month or so have really piqued an interest with those of you who have been reading. Given this, I posted a request to the A4IA Facebook page to see what other related topics you wanted to learn more about. One topic that was brought to my attention was the role of carbonated beverages (soft drinks/sodas) as a performance enhancer. This post will attempt to summarize the information I was able to review. Before I jump into what I was able to find regarding soft drinks and athletic performance I think it is important to understand some of the basics regarding soft drinks and their typical consumption. As of 2000 the average soft drink consumption was 600 (8 oz.) servings annually, up from 90 servings annually in 1942. The significance of 1942 is that this is the first year the AMA (American Medical Association) first recommended against the consumption of soft drinks to help limit sugar intake. Consumption of sugar sweetened beverages (juices, soft drinks, energy drinks and sports drinks) continues to increase in most age groups and soda is the most heavily consumed beverage. Where there is a decrease in soda consumption for adolescents, sports drink and energy drink consumption are on the rise. Moving beyond the health and nutrition concerns soft drinks raise there are some that do believe soft drinks do contain two main ingredients that could potentially be beneficial to athletes looking to improve performance: caffeine and sugar. We discussed caffeine in detail previously when talking about energy drinks and the use of sports drinks has increased because of their ability to replenish glucose (sugar) stores following long bouts of exercise. On the surface it appears that it is plausible that soft drinks could in fact improve performance, but what does the available research say? One recent study on male college athletes who performed 60 minute exercise bouts on an ergometer demonstrated that soft drinks are no more beneficial than non-carbonated beverages. The study states that there were no statistical differences when comparing glucose serum levels, Na and K levels, insulin and free fatty acids. These biomarkers are the most common assessed when trying to understand improved exercise physiology. 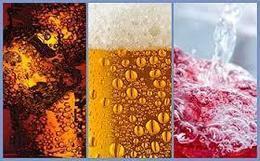 Those in the soft drink group did state that they felt more refreshed when drinking soft drinks, but it was found that the carbonation limited the total volume of fluid drinkers were able to consume impacting the participant’s ability to maintain appropriate hydration. Many of the other studies I reviewed focused specifically on the physiological utilization of carbohydrates (CHO) without a particular focus on soft drinks. Most often studies assessing the utilization of carbohydrates focus particularly on the percentage of carbohydrates in a solution and how quickly the stomach can utilize them. Soft drinks most often are round 10% CHO, but research has most consistently shown that drinks that are 6% - 8% CHO (most sports drinks) are the most effective in providing CHO replenishment following intense exercise. It is important to note that sports drinks or other CHO replenishment options should only be used following exercise bouts of 60 minutes or more, exercise for shorter periods often do not require CHO replenishment and drinking water to replace lost water is sufficient. I have previously discussed the positive and negative effects of caffeine and will not spend additional time discussing them here. If you need a refresher you can check out this article or review my initial blog regarding dietary supplements and energy drinks. Caffeine is found primarily in colas, but in total is found in 70% of all soft drinks. Remember while it is proven that caffeine does improve alertness and focus when consumed in sufficient quantities it is also possible to suffer from caffeine toxicity. Minimally this can result in nausea, but in a worst case scenario it can also lead to sudden cardiac arrest or death. From my perspective, while soft drinks do potentially offer the benefits of improved focus and carbohydrate replenishment after long, prolonged exercise I am hesitant to recommend soft drinks as a performance improvement option. This is based primarily on my understanding of the significant negative outcomes associated with regular, significant consumption of soft drinks and the available alternatives. Sports drinks are specifically formulated to help you replenish carbohydrates, water and electrolytes following long periods of intense exercise, a soft drink is simply meant as a basic form of refreshment and exercise physiology is not considered in their formulation. Additionally, while caffeine in small doses is typically not of concern for minor improvements in alertness, when consumed in high doses (such as in energy drinks) it can be dangerous or even cause you to fail and NCAA drug test (see the banned substance list). Children are also more sensitive to the effects of caffeine and I would recommend keeping consumption of caffeine based beverages to a minimum in young and adolescent children. Finally, when attempting to maintain hydration during activity it is important to note the key for children is to get them to consume as much fluids as possible. Children should consume 13mL/kg bodyweight during exercise and 4mL/kg bodyweight post exercise for each hour of exercise to avoid dehydration during future exercise bouts. Children often do not consume enough fluids to appropriately stave off dehydration during and after activity and adults should assure appropriate consumption. Providing beverages that taste good and stimulate thirst are key. I realize saying this may seem like I’m advocating for soft drinks, bur remember the carbonation in these beverages can give a false sense of fullness actually inhibiting sufficient fluid consumption. If your child doesn’t like to drink just water, consider other beverages such as juices (watered down as necessary), milk and sports drinks to encourage regular consumption of fluids.